New book! New book! I am so excited. It’s been a while since my previous self-titled book (published by Gestalten, 2011) went out of print. Now, used copies are sold around$150USD on Amazon marketplace. I have been asked, many times inquiring the book, and have to reply “sorry I don’t even have enough copy for myself. 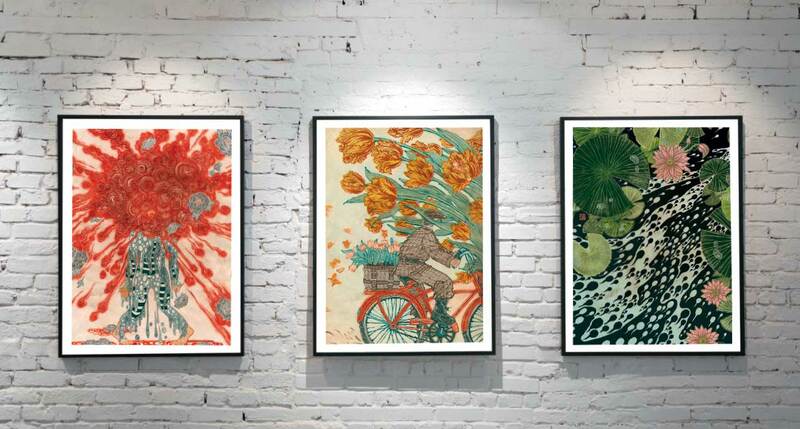 ” So, when ROADS Publishing of Ireland, a boutique publisher of art and design books, approached a new concept of a book, we were on the same page. Not enough time has passed to make a brand new full-on monograph, but some of the images in the previous book felt a bit dated. We wanted a smaller and tighter selection of what we think are some of the best, or may be more appropriately, my favorites. 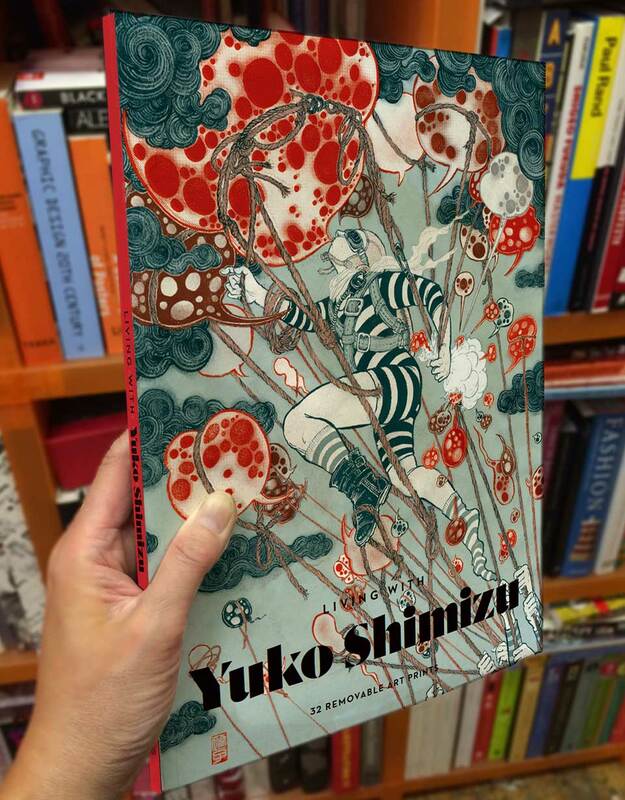 This Living with Yuko Shimizu is a book of carefully selected 32 images, on thick sturdy paper, which can be kept on your bookshelf as a monograph, or tear each page out, and use as very affordable option of wall art. It is a different concept of a book that was perfect for both the publisher and myself. The book has just come out in the UK this week. It is scheduled to be published in the US-side (and other countries abroad) by the end of the month. Amazon has already started taking pre-orders. Their site has a great preview of images inside, so please visit Amazon to take a look inside.